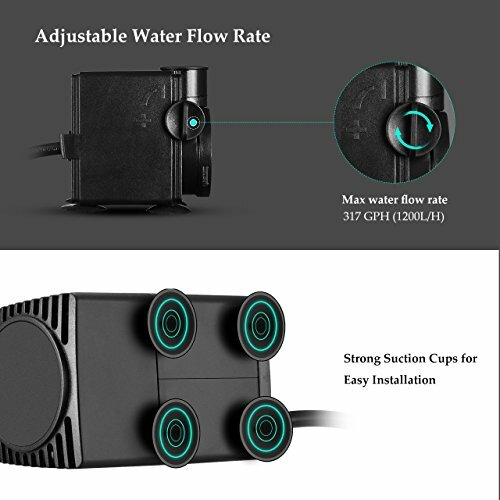 Adjustable Flow Rate. 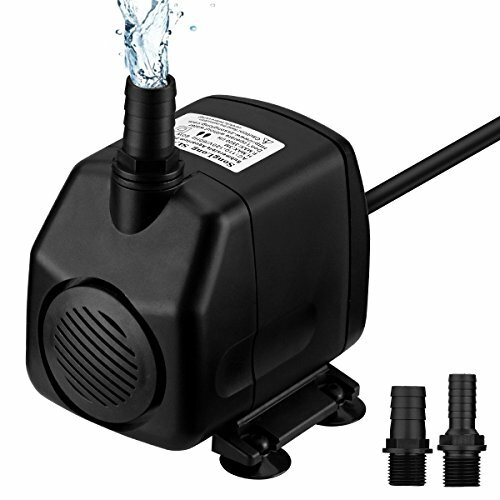 Rotate the knob to control the water flow rate, so you can get just the water pressure you want. 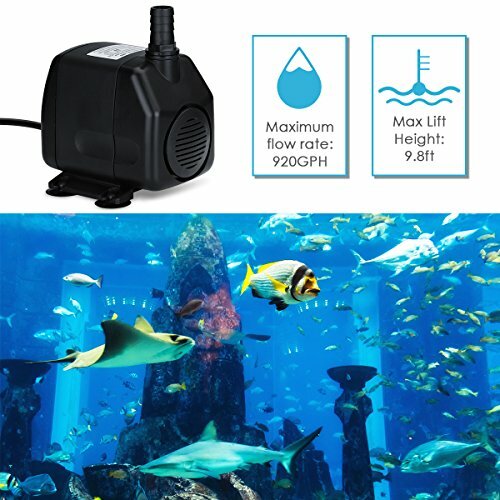 Maximum flow rate: 320GPH（1200L/H）. 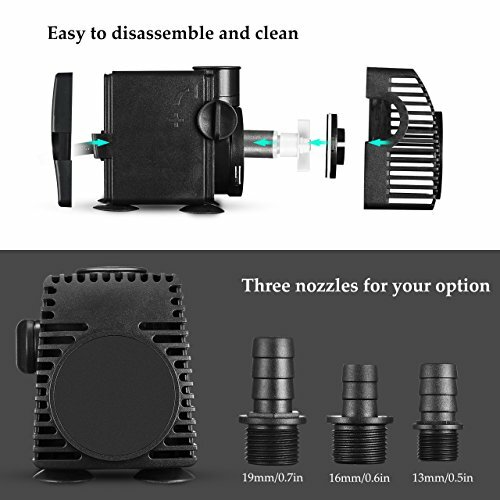 Equipped with three nozzles(0.51in,0.62in,0.75in) for your choice. 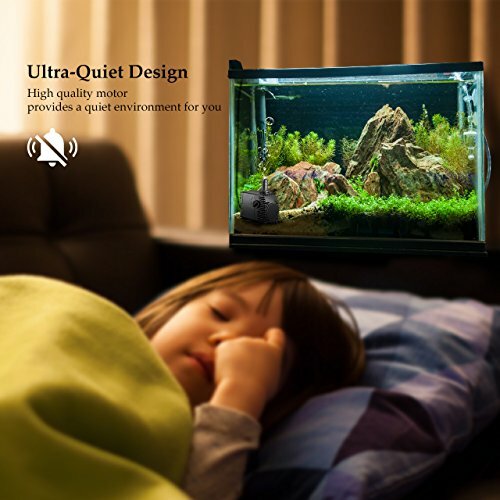 Ultra-Quiet Operation: Running at a whisper-quiet level, the motor inside produces no noise, which gives you a quiet environment even with one in your bedroom. 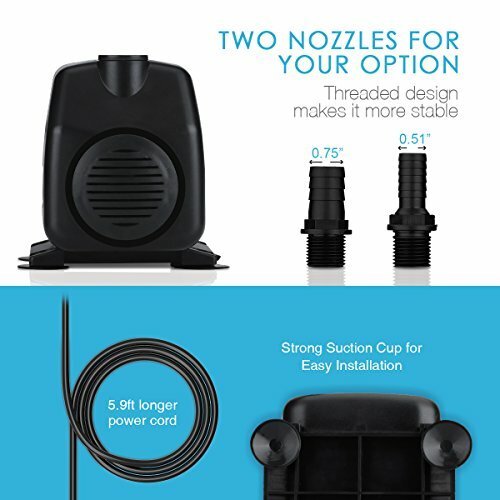 Wide Application. 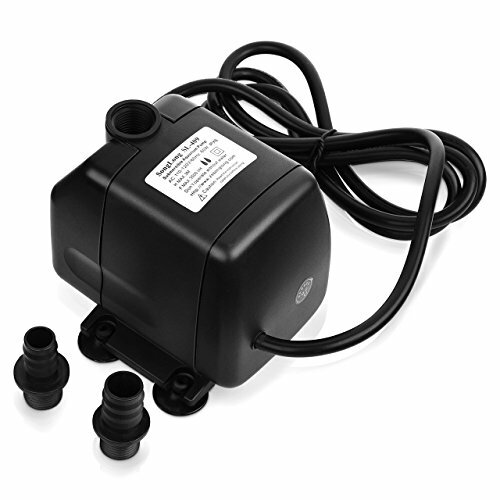 Circulate water and add oxygen to water. 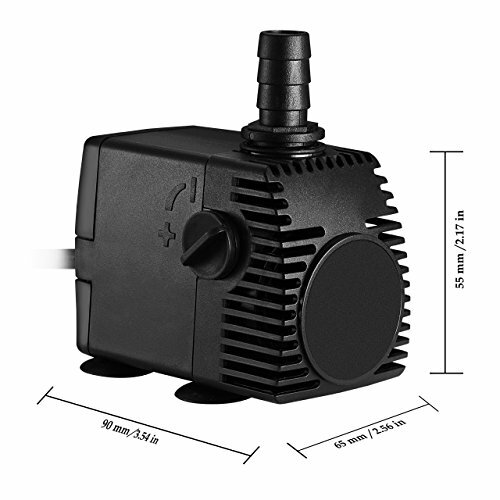 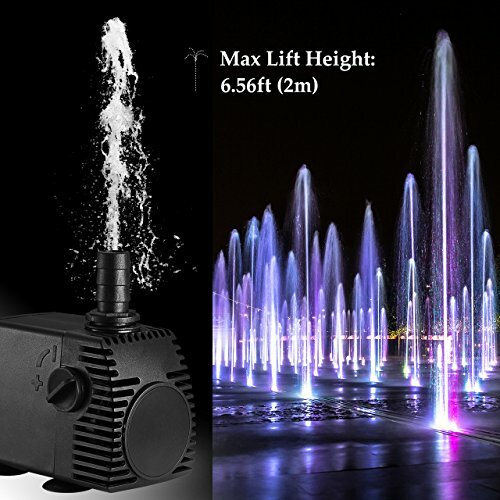 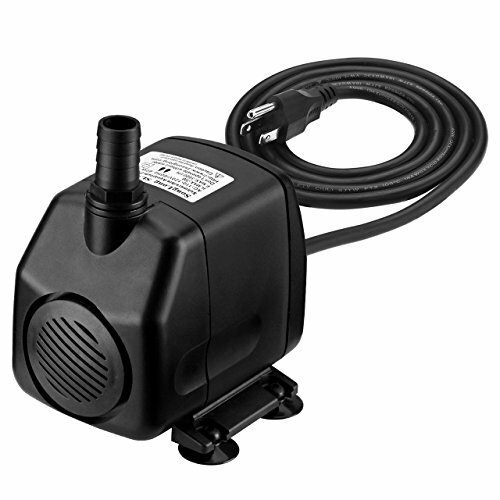 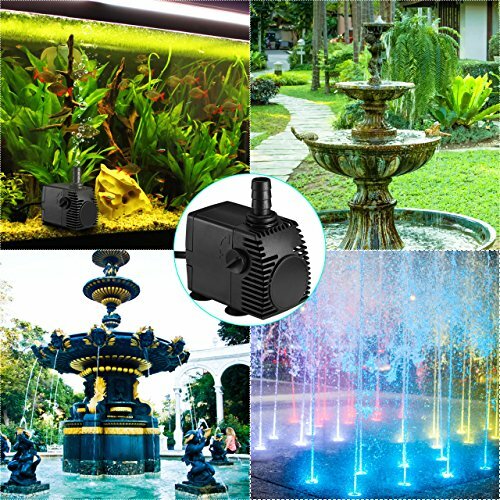 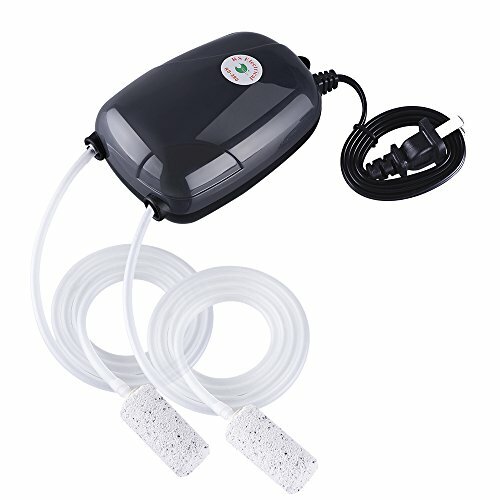 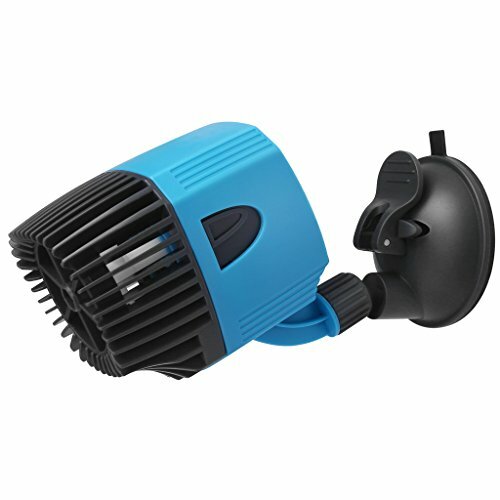 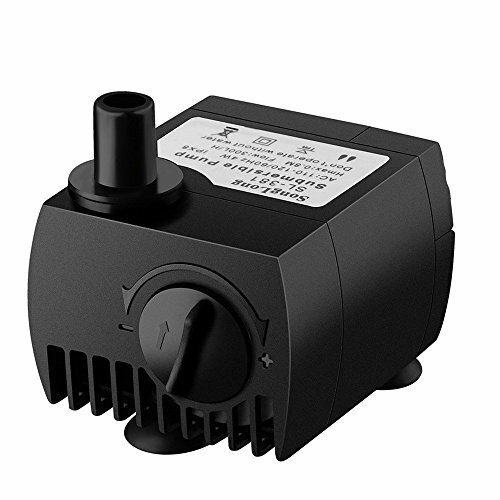 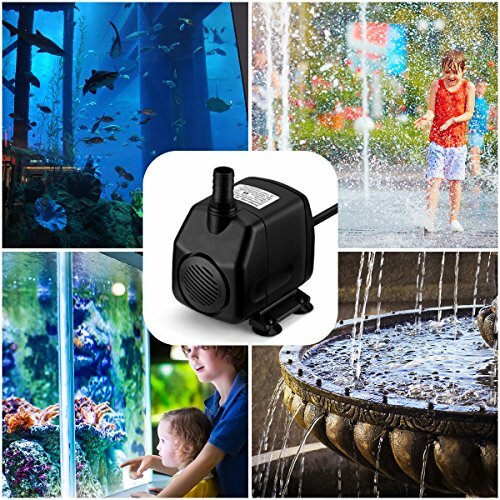 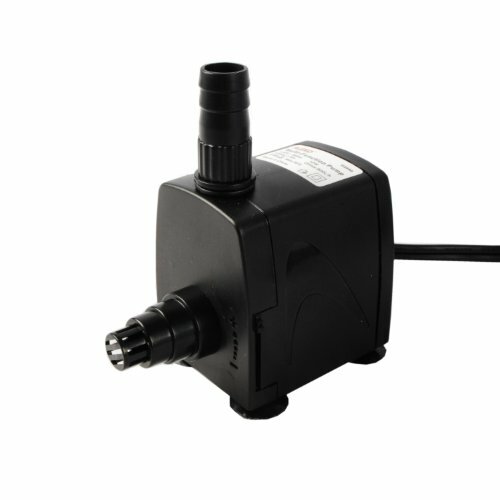 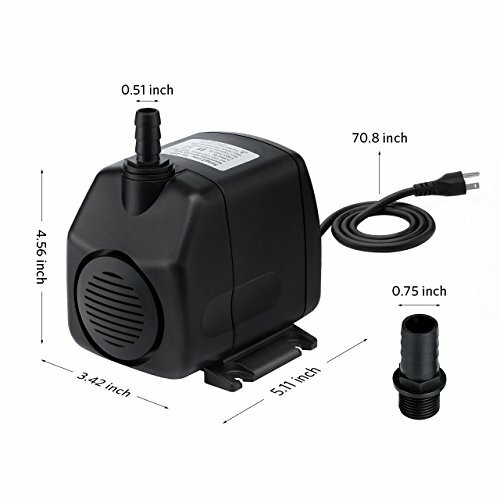 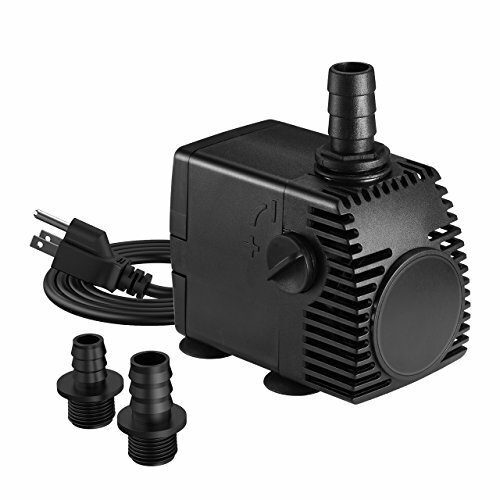 This submersible water pump is great for fish tank, aquarium, fountain, spout and hydroponic systems.